Memory manufacturer Team Group has this week unveiled a new range of storage cards called Go Cards, which have been specifically created for action cameras offering up to 90MB/s, and the write speed is up to 45 MB/s. Action camera has become a hot newcomer in the field of photography. It is very versatile that it can be installed on bikes and helmets. 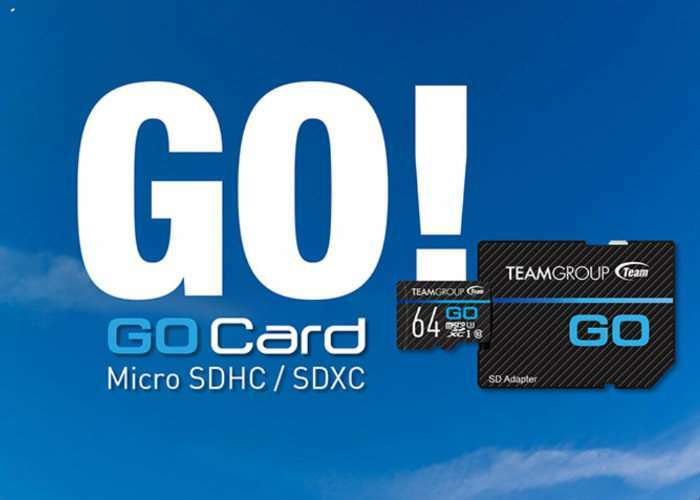 Dedicated to sports lovers, Team Group releases the GO Card, a memory card made especially for action cameras. It can capture and preserve all your wonderful memories, while expanding the memory capacity of the action camera swiftly and easily. Team Group GO Card for action cameras is fast, high performance and rated UHS Speed Class 3 (U3). It is the best partner for action camera users. With the performance Full HD* and 4K* high quality video needed, users are able to capture in 4K ultra high quality or 240 frames per second. When using GO Card, you can immediately enjoy the smooth recording and video playback experience, freely capture wonderful moments in life. Unfortunately no information on pricing or worldwide availability has been released as yet Team Group, but as soon as information comes to light we will keep you updated as always. Visit the official Go Card website to order and for more specifications via the link below.